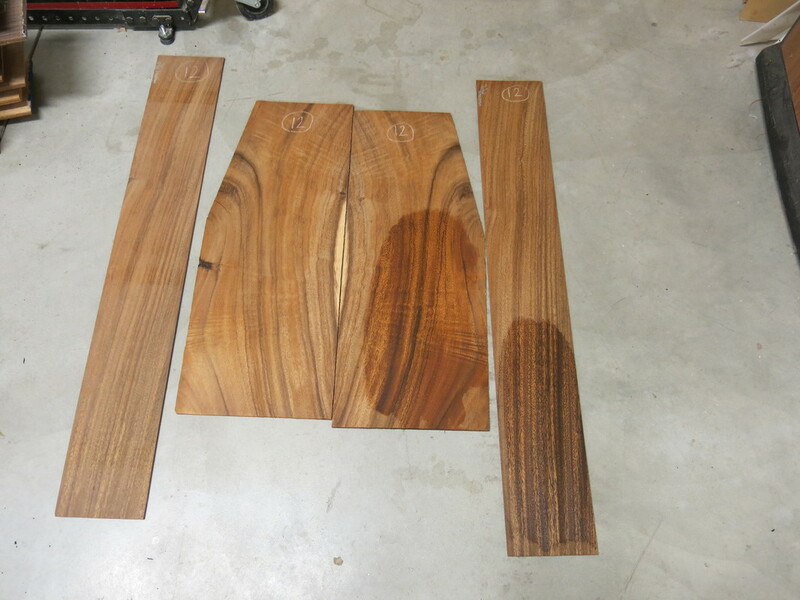 Some wood possibilities : Australian Blackwood, Mango, Monkey Pod, Eucalyptus, Red Mountain Spanish Cedar and Quilted Sapele. 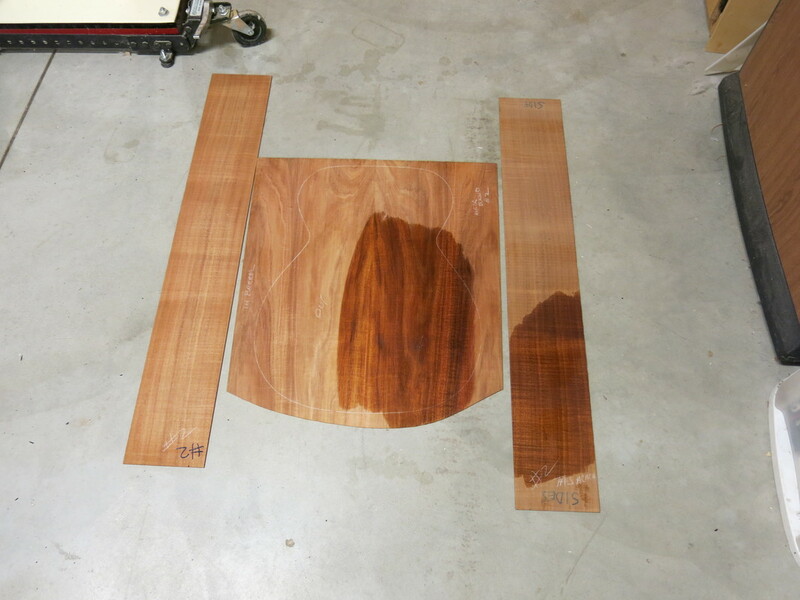 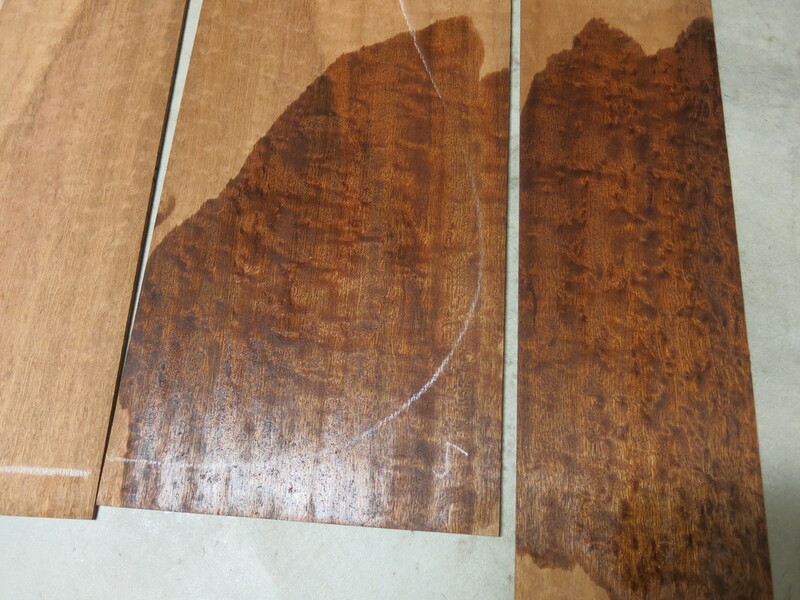 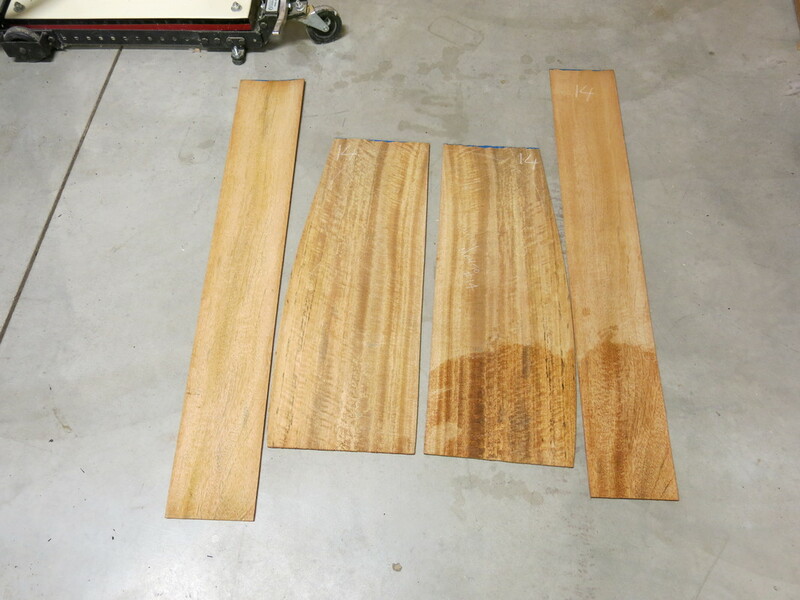 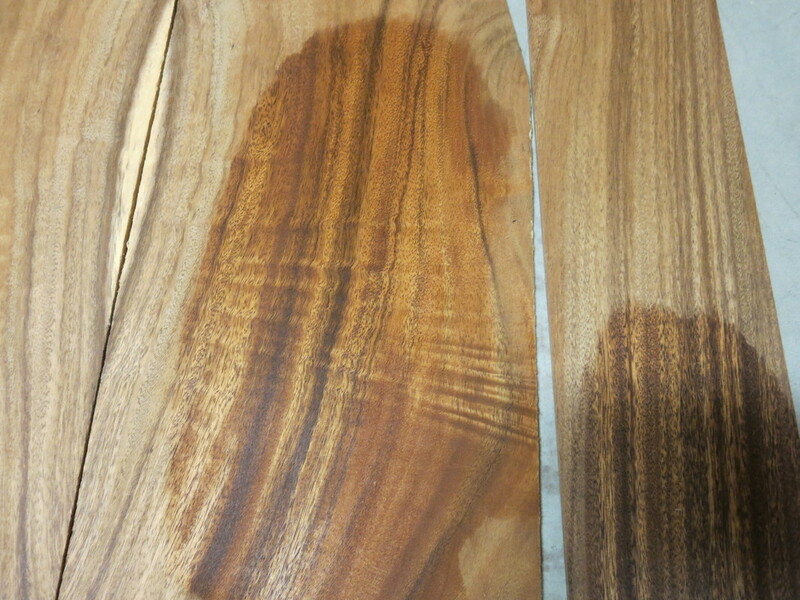 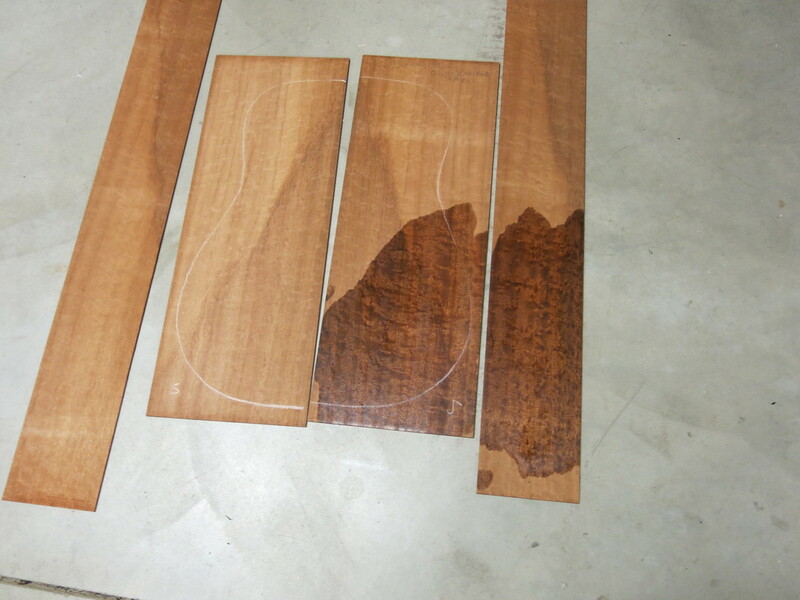 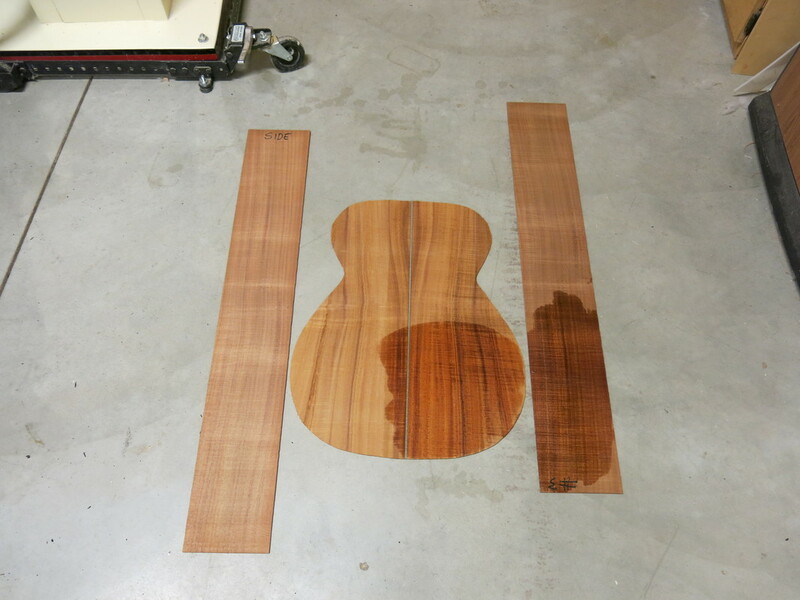 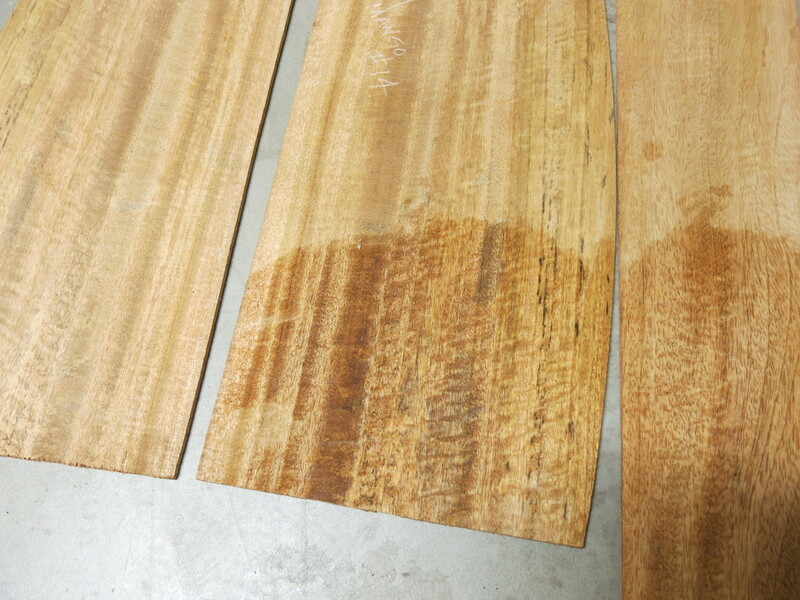 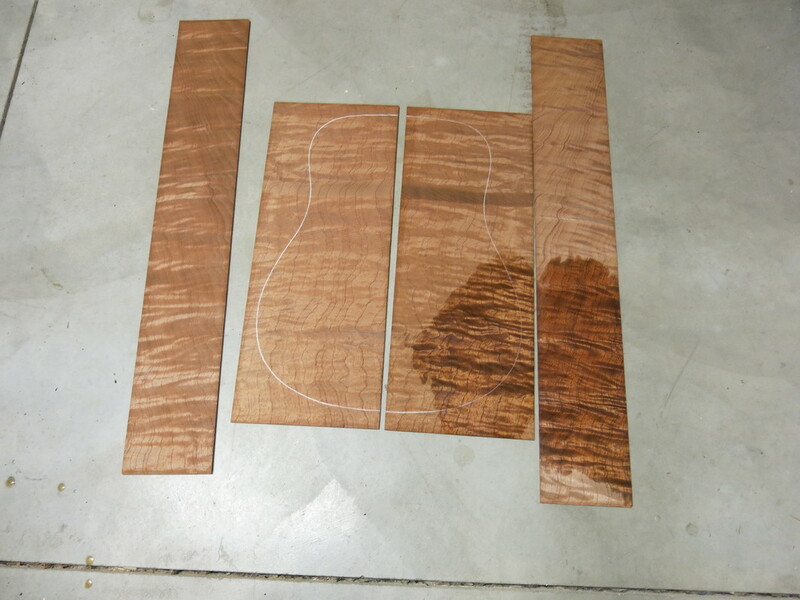 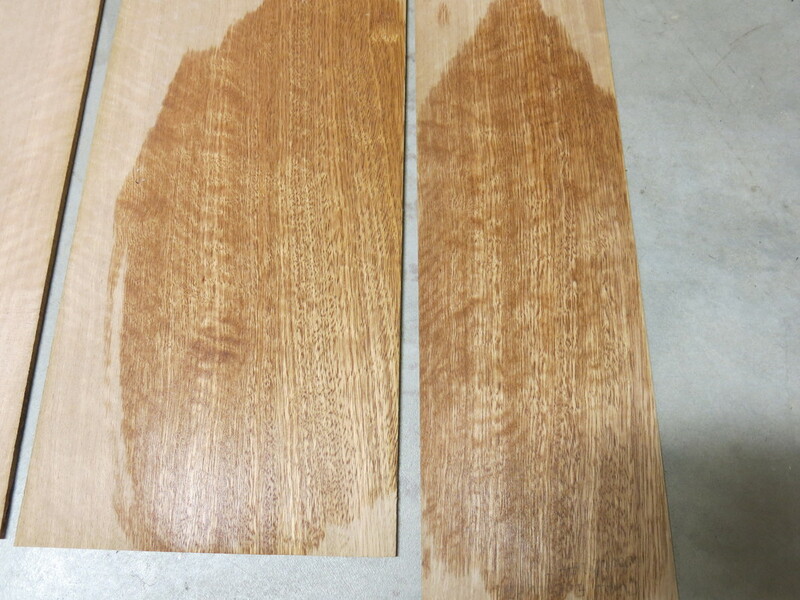 I am posting 2 sets of Australia Blackwood. 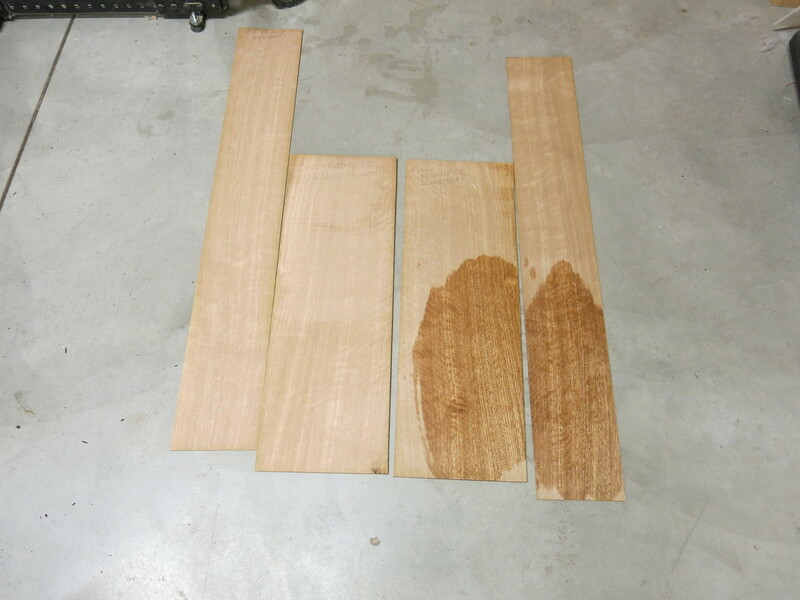 I have several more and a flitch cut board that is big enough to get sides and backs from the same board. 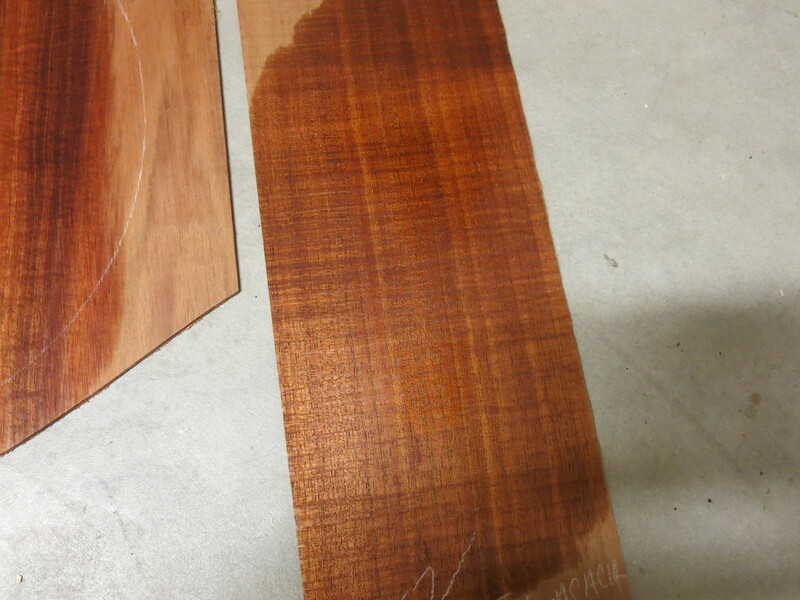 It is very curly much like set#3 below. 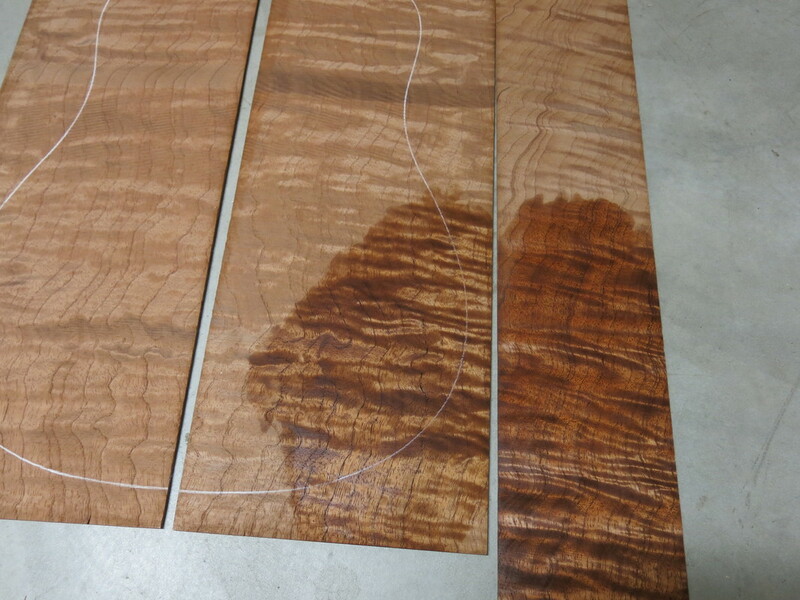 I also have Maple both curly & quilted. 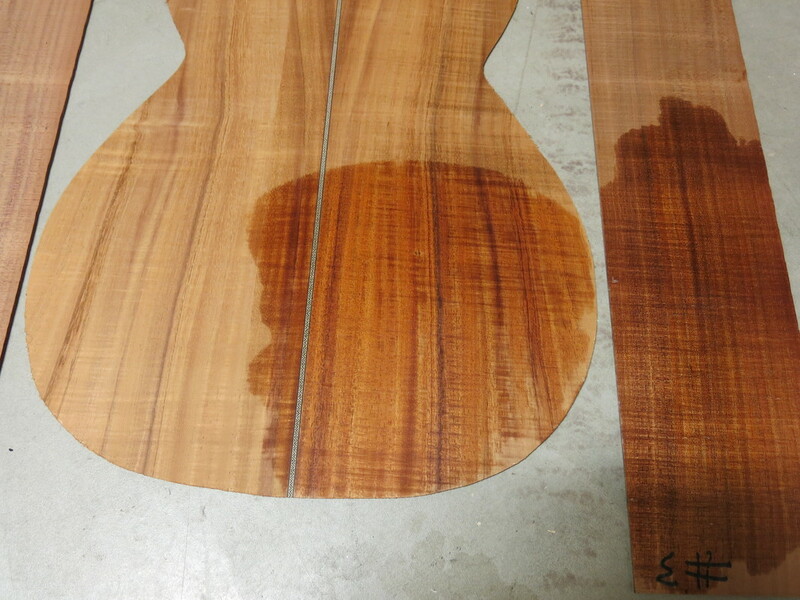 A. Blackwood set #3 Great figure but already has a zipper back strip I am fairly sure that I could replace the backstrip or find another set with as much figure.